Titled “All About Love Speaks Forever,” the exhibition is “tailor-made” specifically for the Fosun Foundation Shanghai, according to Duanmu Xiazi, artistic director of the non-profit arts and culture institution. More than 40 pieces of the 90-year-old artist’s works went on display March 6, including some of her most renowned creations: the “Infinity Mirrored Room,” “Pumpkins” and “My Eternal Soul” series. A number of large-scale immersive and reflective installations are also on display. In front of the museum is a three-meter-tall outdoor pumpkin sculpture, which is universally regarded as the creative “trademark” of the exhibition. 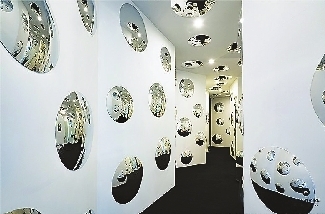 A three-dimensional polka-dot installation that covers a 100-square-meter space and a space of creatively arranged convex mirrors are among the exhibition’s numerous highlights. To ensure that the arrangement of exhibits perfectly fits the venue’s architecture, staff from the artist’s studio made several trips in the landmark building in the heart of Shanghai for in-advance planning. On the third floor of the exhibition hall is one of her most celebrated painting series , “My Eternal Soul,” which includes two new works created in 2018. 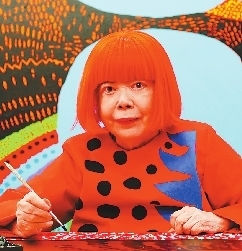 Born in 1929 in the central Japanese city of Matsumoto, Kusama is a world-famous artist known for her use of vibrant colors and polka-dot patterns. She has claimed that she started hallucinating at age 10, and among her visions, flowers had spoken to her. Instead of allowing the experience to debilitate her, Kusama turned the illness into a source of creative energy, drawing dense arrays of polka dots across large monochrome canvases. 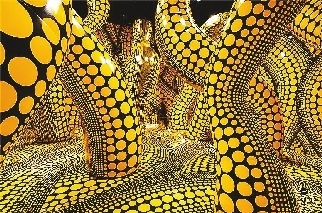 Affiliated with minimalism, pop culture and the Zero movement, Kusama has developed a unique and imaginative artistic style, applying it to a wide range of media from paintings to installations, performance art and literature. 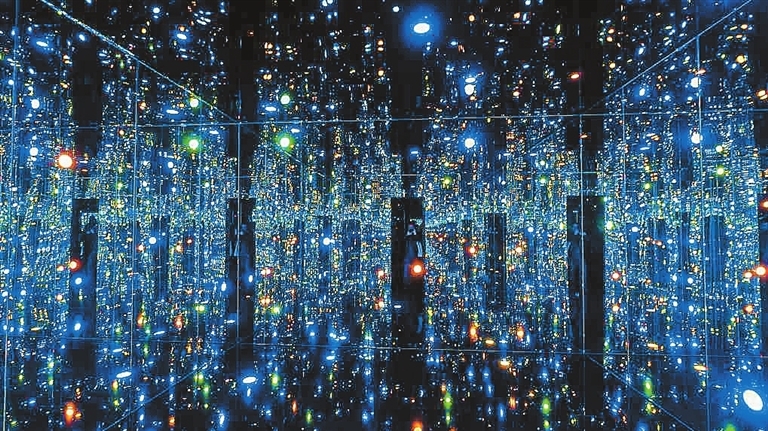 Several fake exhibitions of the established artist’s work were found in China last year, including one in Shenzhen, forcing the Yayoi Kusama Foundation to launch an investigation and warn of legal actions on both the civil and criminal fronts against fraudulent organizers. The current Shanghai exhibition will run through June 9.